Robb Moore wins Sacramento SBA Person of the Year | CVF Capital Partners, Inc.
Robb Moore, CEO of IoSafe Inc., recently won the 2015 Small Business Person of the Year from the Sacramento District office of the U.S. Small Business Administration. Robb was selected from over 30 nominees from around the area and chosen for his numerous business accomplishments, community involvement, and personal character. IoSafe was founded in Auburn, CA in 2004 and has quickly become the technology leader in disaster proof hardware design and manufacturing. Over the course of a decade, and various product launches, ioSafe has garnered national recognition having been featured on the Discovery Channel, BBC, with articles in the Wall Street Journal, PC Magazine, and other leading publications. 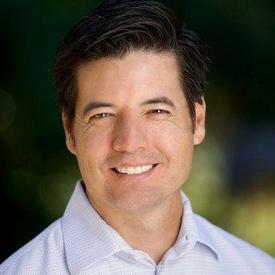 In addition to his work at ioSafe, Robb Moore has served as a Board Member of SARTA (Sacramento Regional Technology Alliance) since 2008, aiding in the development of technology sector throughout the Sacramento region. ioSafe is a privately-held company established in 2005 and is headquartered in Auburn, California. Like an aircraft black box for data, ioSafe provides rugged, fireproof and waterproof hardware and data recovery services as a cost-effective way for both businesses and consumers to protect critical and irreplaceable data. For more information, please visit http://www.iosafe.com. The Central Valley Fund (CVF) was established in 2005 to finance later stage growth and buy outs through mezzanine and preferred equity investments. CVF has managed over $175 million in committed capital since its inception with offices in Davis, CA and Fresno, CA. It is focused on making investments in California’s Central Valley and throughout the Western United States. For more information, please visit http://www.centralvalleyfund.com.